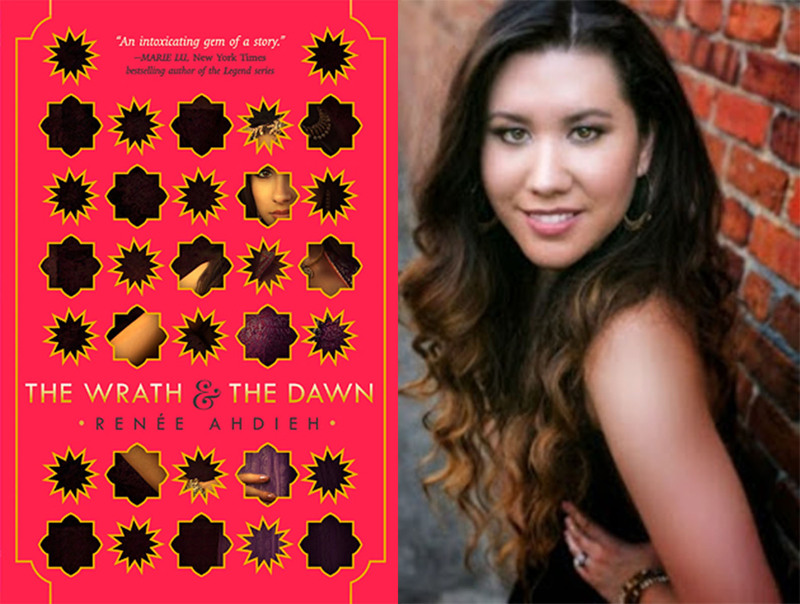 Up next in my series of Author Q&As features Renee Ahdieh, author of The Wrath and the Dawn. Jordan: What inspired you to write a retelling of A Thousand and One Nights? Renee Ahdieh: Wanting to write a diverse book and my husband’s Persian family. J: What was the greatest piece of writing advice you have received? J: Who is your favorite minor character to write? J: Any favorite recent reads that you would recommend? RA: Marie Lu’s Rose Society, Marie Rutkoski’s The Winner’s Curse, Sabaa Tahir’s An Ember in the Ashes, and Victoria Aveyard’s Red Queen. RA: Elias from Sabaa Tahir’s An Ember in the Ashes or Rhys from Sarah J. Maas’ A Court of Thorns and Roses. J: What’s your go to writing snack? RA: The power of influence or flying. Thanks for answering my questions during the twitter chat last night, Renee! Be sure to check out The Wrath and the Dawn in stores now! Ooh, The Wrath and the Dawn sounds good! I’ll definitely pick that one up soon. Nice Q&A! Thank you! I’m in the middle of THE WRATH AND THE DAWN right now and loving it! I haven’t picked this title up yet but the cover is beautiful! I love getting to chat with authors. Great Q&A Jordan! Thank you! I just finished it last night, and it was AMAZING! I’m in a total book hangover right now!